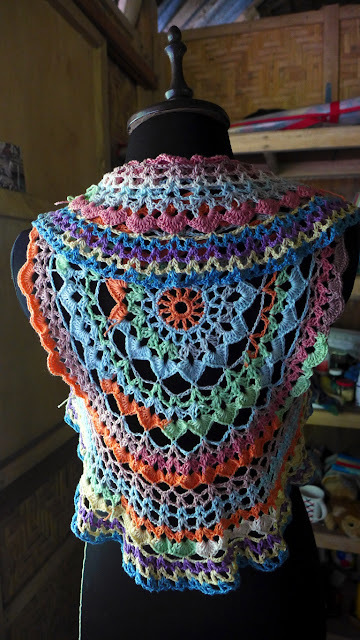 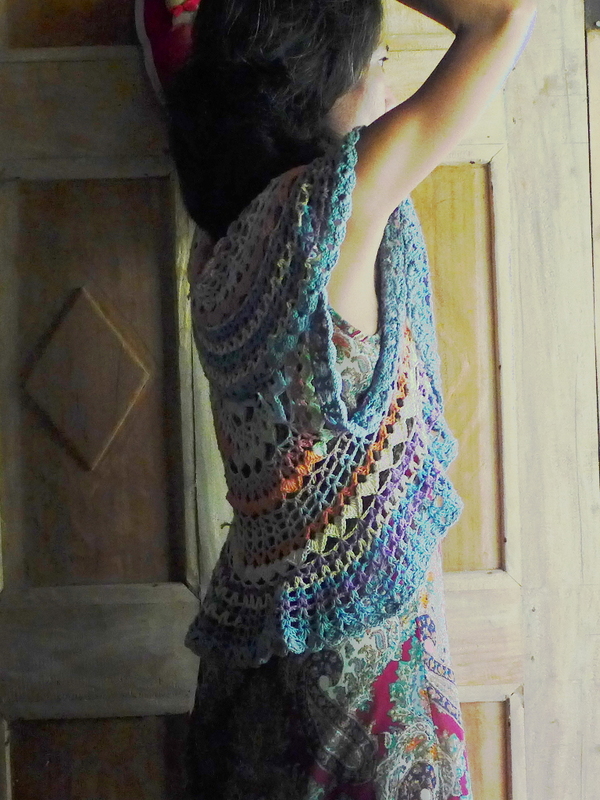 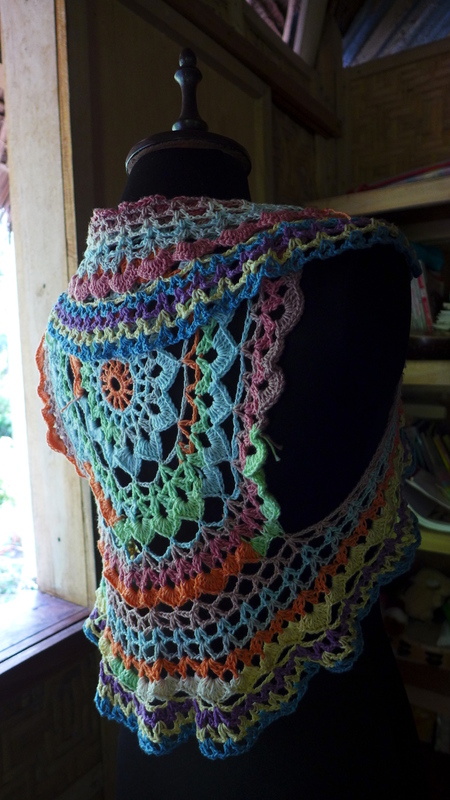 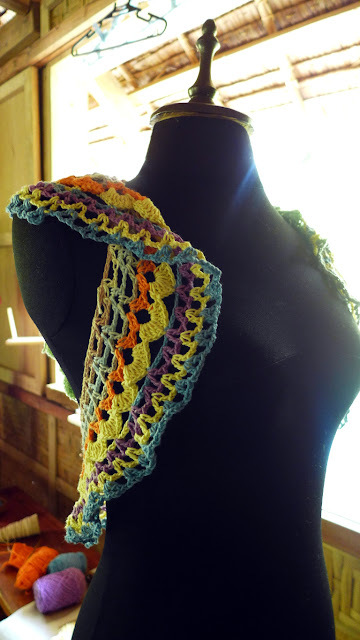 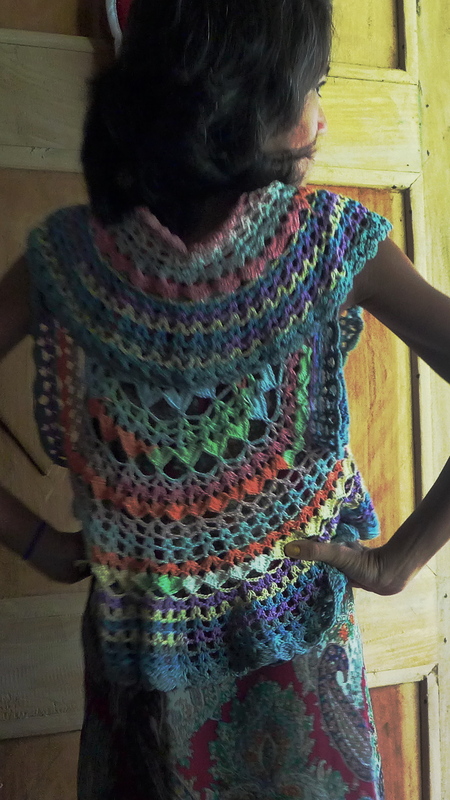 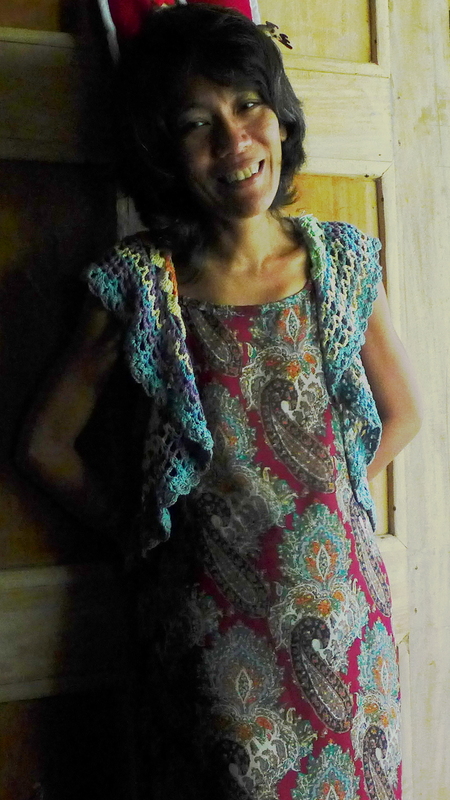 Current WIP is this ---- a vest made up of scrap pieces of yarn tied together. The construction technique is not uncommon - work begins at the center back with a doily worked in the round. 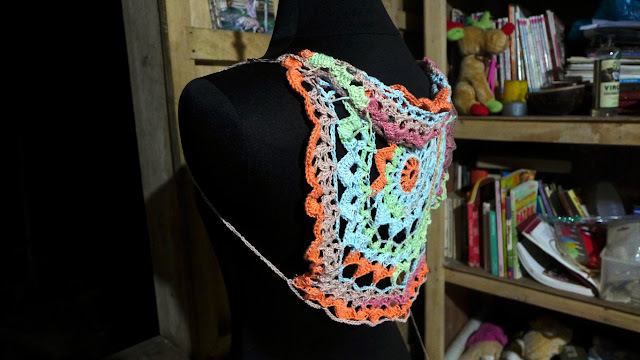 From there, the piece grows, uses long chains to make the armholes, then continues on to create the length and left and right front of the vest. Below are progress photos that make the construction of the vest much clearer. 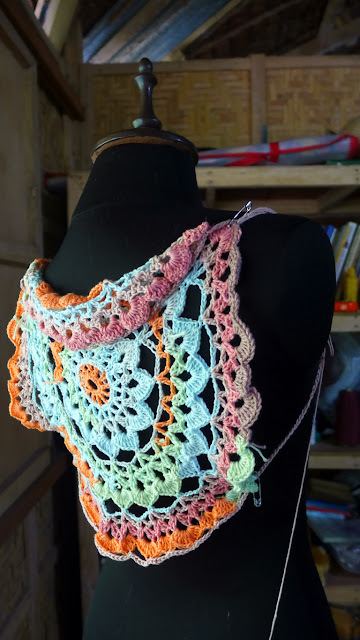 I hope to finish this within the week. 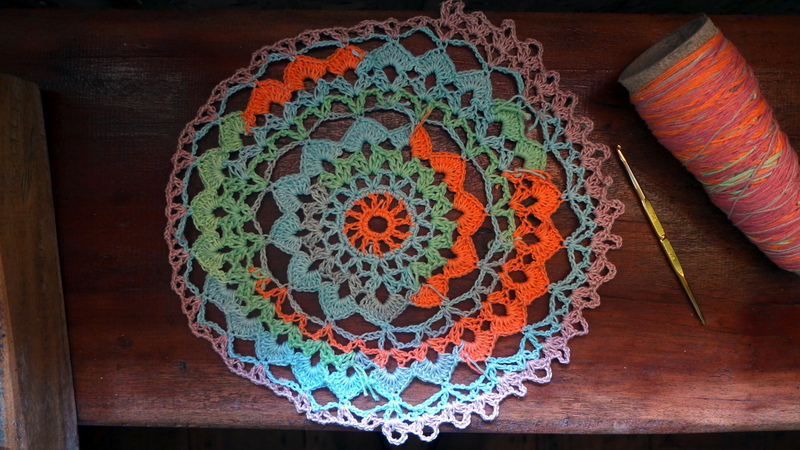 I used various colours of cotton 6-8 ply and a 3.5mm crochet hook.